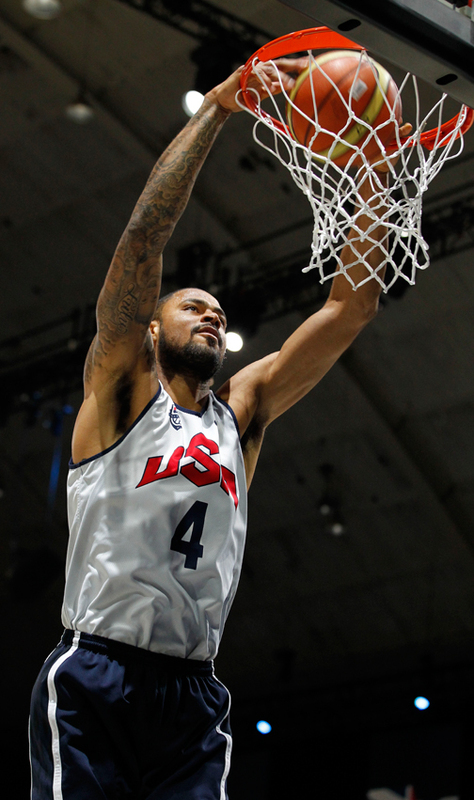 TYSON CHANDLER: The 7’1 starting center on the United States gold medal seeking Olympics basketball team was born in Hanford, California but grew up in Compton starring for the Dominguez High School where he was named USA Today California Player of the Year. 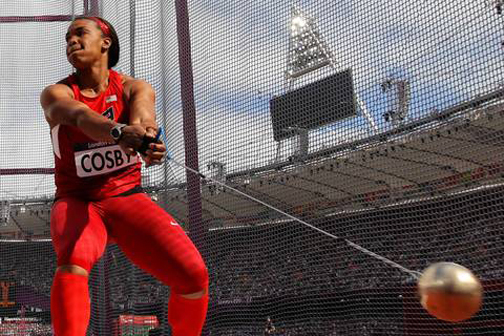 JESSICA CROSBY: A graduate of Reseda Cleveland High School and UCLA, she competed in the Hammer Throw and finished 7th representing African Americans and the United States of America. ALLYSON FELIX: The Southern California native through and through captured Olympic gold in the women’s 200 meters clocking 21.88. She prepped at Los Angeles Baptist High School and redeemed herself for a fifth place showing in the 100 meters. 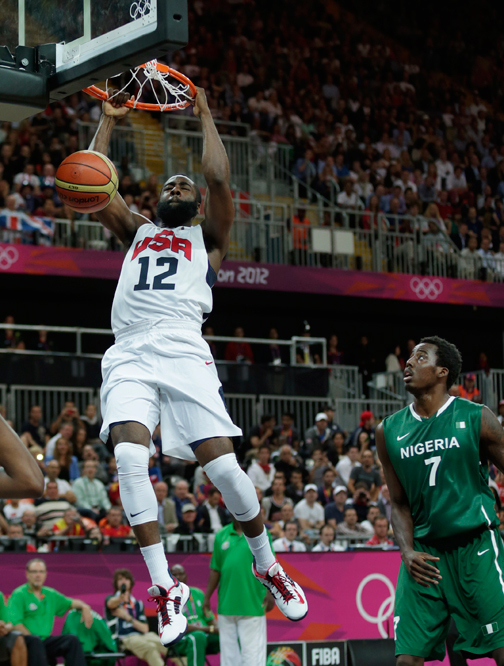 JAMES HARDEN: A pivotal reserve performer with the powerhouse Olympics men basketball team. He is a Los Angeles native who attended Artesia High School before starring at Arizona State and now Oklahoma City Thunder. His mother Mona attended Jefferson High School and is the most influential person in his life. CARMELITA JETER: Captured Olympic Silver in the 100 meters and crossing the finish in 10.78 and then earned a bronze in the 200 meters. A graduate of Bishop Montgomery in Torrance and resident of Gardena. She also attended Cal State Dominguez Hills and is the sister of professional basketball player Pooh Jeter who played in the NBA with Sacramento. 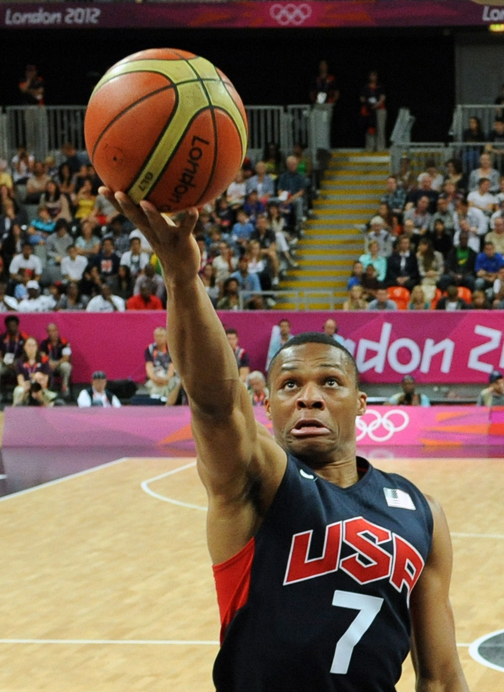 RUSSELL WESTBROOK: A rising superstar and among the elite players on the favored United States Olympics basketball team. Attended Leuzinger High School in Lawndale and played for Reggie Morris Jr. before attending UCLA where he became an NBA player after just two seasons. SERENA WILLIAMS: The colorful of the two tennis star Williams sisters captured Olympic gold on the heels of winning Wimbledon defeating Maria Sharapova in dominating fashion 6-0,6-1. She celebrated her victory performing the C-Walk reminding many of he roots in Compton where she grew up and learn how to play tennis. 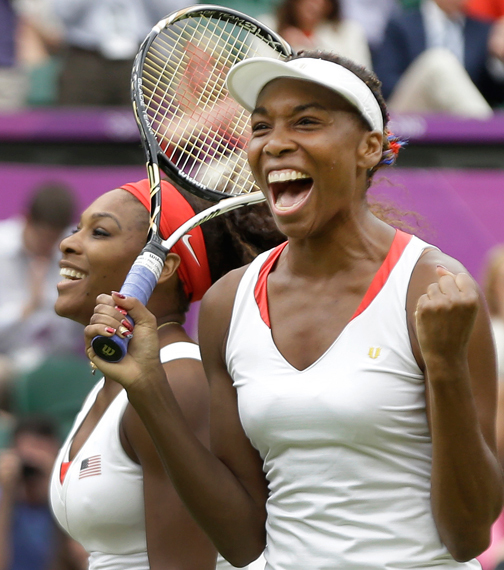 She also joined with her sister Venus to become the first players to win four consecutive Olympic gold medals in tennis. VENUS WILLIAMS: Sister Act I didn’t fare well in singles competition, but redeemed herself when joined by Serena to make history winning doubles for the fourth straight Olympics. Born in Lynwood and raised in Compton she is as close to hood as one can get.